The Beachwood Sewerage Authority was established in September 1972. As a Municipal Authority, it is an entity on its own and is not a Borough utility. 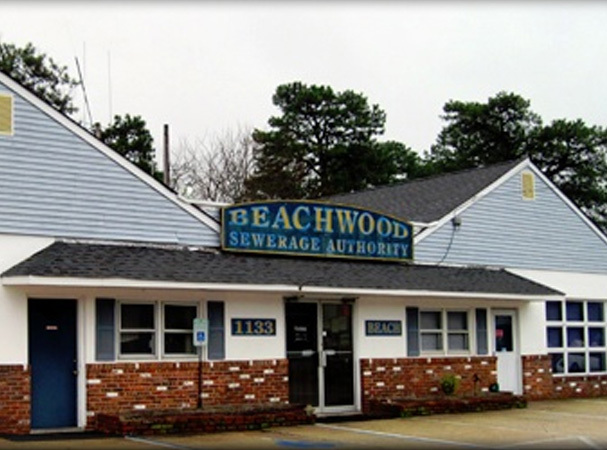 The Beachwood Sewerage Authority was established in 1972 to provide for the proper collection of wastewater for residents and business owners throughout the borough. We endeavor to provide high-quality service to our ratepayers, exceptional customer care and public relations, strategic and innovative planning for the future, and the exploration of innovative solutions for the long-term stability of our system. We have been experiencing an increase of people flushing items down their toilets that do not readily break down and dissolve in the sewer system. These items, such as paper towels, handy wipes, baby wipes, sanitary napkins, etc. and more recently materials used for cleaning floors, such as “Swifter” wipes, get caught and clog the sewers causing a backup of sewage and property damage. PLEASE DO NOT FLUSH anything other than toilet tissue down your toilet. If you have a basement or lower level in your home with any type of plumbing fixtures including, but not limited to, a washing machine, sink, toilet, tub, shower, laundry tubs, slop sink or any fixture water can come out of, the Beachwood Sewerage Authority strongly recommends that you have a check valve installed. This will help prevent sewerage from backing up into your home should the sewer main in the street become blocked. The installation of a check valve is a VERY IMPORTANT preventative measure! if you have any questions or require additional information about this please call Beachwood Sewerage Authority. 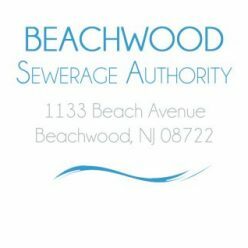 The Beachwood Sewerage Authority will accept no liability for damages as a result of the occurrences described herein. You should also be aware that the storm drains and sanitary sewer mains are SEPARATE systems. PLEASE BE REMINDED THAT IT IS ILLEGAL TO CONNECT THE DISCHARGE OF BASEMENT SUMP PUMPS OR SWIMMING POOL BACKWASH TO THE SANITARY SEWER SYSTEM. Meetings are held the third (3rd.) Tuesday of each month beginning promptly at 5:00 p.m. The meetings are held in the office of the Sewerage Authority located at 1133 Beach Avenue. Our hours of operation are Monday through Friday 8:30 a.m. – 4:30 p.m.
Sewer Payments are due quarterly as follows: January 1st., April 1st, July 1st and October 1st. Interest begins to accrue on the tenth (10th) day following the due date.